For our June/July Outdoor issue, we asked local design professionals their opinion on outdoor water fountains. Are they a classic or a craze? Here’s what the professionals had to say. "It's a classic! No other landscape element has the intrigue that a fountain provides. Whether it is the lively movement of Carl Milles' "Meeting of the Waters" in front of Union Station, or the simple, soothing sound of flowing water from a small backyard fountain, who can resist the temptation? We see it every day in our store; wherever we place a fountain, children young and old are drawn to the sight and sound like a magnet." Jim Heeter, The Gifted Gardener. “Fountains are a classic, for sure! Fountains and manipulation of water have been around for thousands of years. The use of water has been a constant throughout history; from simple crop irrigation, to the Moorish minimalist use of water, to the extravagant fountains of Versailles. Fountains and their ability to bring a calming sound and energy to a garden will be around for years to come.” Eric Ringhofer, Green Guys. "One only has to examine history to attest the timelessness of water fountains. Fountains have existed for centuries, going as far back as the hanging gardens of Babylon and the Ancient Greeks. 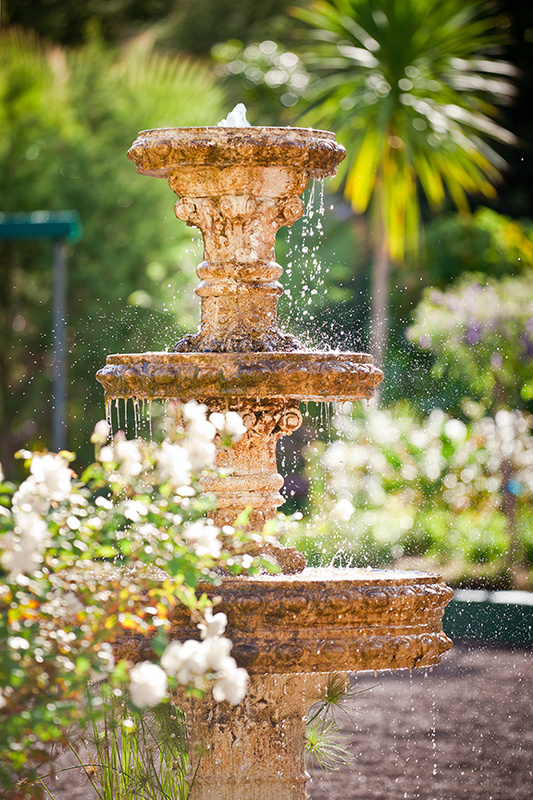 Although the fountain has changed in shape and form throughout the years, the purpose of the water fountain remains true. Adding a fountain to an outdoor space is not only architecturally pleasing, but the sound of the water has a very relaxing and soothing effect. I believe water fountains to be a classic piece that won’t be going out of style anytime soon.” Morgan McAdams, Chesterfield Valley Nursery. “Classic! Fountains have been delighting humans for years, from ancient Rome, to King Louis XIV's elaborate creations at the Gardens of Versailles, all the way to modern times. For the backyard gardener, a popular trend is water features that attract nature. Be it a large fountain or just a bubbler in a birdbath, the moving water creates soothing sounds and will guarantee visits from birds, butterflies and other pollinators.” Ann Lapides, Sugar Creek Gardens. “Water features have been around for hundreds of years, and though they may change styles from year to year, they all add a Zen and serenity factor to the landscape. Even a simple, single trickle of water can add a soothing sound while sitting in your garden area on a quiet evening. Water features also are a good source of nutrients for the wildlife in your landscape.” David Sherwood, Sherwood’s Forest Nursery. “Outdoor fountains are classic. Whether the design of the fountain is classical, natural or modern the idea of water in the garden will continue to be popular. Water provides movement and a calming effect in gardens, which adds to the overarching experience of the garden. When traveling to gardens around the world such as Kew, Kirstenbosch, Longwood, Butchart and our own Missouri Botanical Garden, you will find the use of water throughout these spaces. This is not happenstance. Fountains and the use of water are a design feature found in gardens around the world used to enhance the overall experience.” Daniel Mee, Frisella Nursery.